Dunia Maya: AKB48 4th General Election = Save Akimoto Sayaka! I know this will be considered as pointless rant. But I have to write it. As you may know, AKB48 4th General Election (Senbatsu Sousenkyo) has started. It's a yearly event where fans voted which member that will be included at the next single. The first event was held on 2009 to decide the senbatsu (aka the representative member) for "Iiwake Maybe". Maeda Atsuko (Acchan) won the first Sousenkyo. The second Sousenkyo was held on 2010 and Oshima Yuko was the winner. The senbatsu member was included for "Heavy Rotation". The third event was held last year and Acchan once again claimed the centre title. This time, it's held to choose Senbatsu for "Flying Get". This year there's a big change. As for her graduation, Acchan said that she will not participating on this Sousenkyo. Of course this is gonna affect the result because Sousenkyo is all about Acchan vs Yuko, and vice-versa. So, yeah, I'm sure Yuko is going to win The Election this year. And the preliminary result said it. Yuko is leading the Sousenkyo by the big lead. She gets 15.093 votes, almost three thousands more than Yukirin (Kashiwagi Yuki).Yuko is my oshimen so I'm glad to know it. There are some surprises too. Mariko-sama (Shinoda Mariko) dropped to 6th. The worse things happened to Tomochin (Itano Tomomi) and Kojiharu (Kojima Haruna). Both dropped to 9th and 11th respectively. Still, they are in Senbatsu position. But…but…..there's no Akimoto Sayaka on the senbatsu list. I scrolled down and still couldn't find her name. I found her name though. At the 32nd. I couldn't believe my eyes. Sayaka at 32nd!? At the bottom of undergirl list!? WHAT'S WRONG WITH YOU, WOTA!? Sayaka is one of my favourite member, along with Yuko, Mariko-sama, Nyan-Nyan, and Takamina. She's awesome, in term that she's cool and tough. Well, yeah, Sayaka is not your usual cutesy cute idol. But that's what make her awesome. And she's a beauty too. Sayaka is one of few AKB members that looks pretty instead of cute (along with Nyan-nyan, Mariko-sama, and Nakatsuka Tomomi). I don't know why Sayaka doesn't receive much love from the fans. She's an awesome person. A great singer and a good dancer. You HAVE to see her solo performance, Mushi no Ballad, to know her talents. And she's a passionate person. You can see it on her Election Video, she talked and talked about AKB48. How AKB48 helped her to reach her dreams. How fun it is to be with Team K, etc etc. You could tell that she loves AKB48 so much. That's the reason why I found it's hard to believe to see her ranked so low. Why? I keep repeating the question. Is it because she's not acting cute and don't bother with it? Is it because her toughness? Is it because she doesn't fit with idol image? Well at least she's being honest and shows herself. Yeah, she's not cutesy cute and doesn't fit the image. 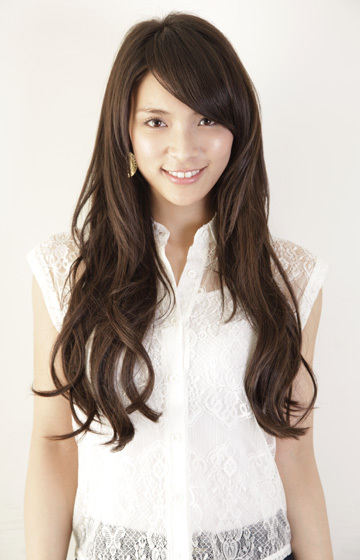 But the girl like Sayaka is the one that makes AKB so interesting. This is the thing that I can't accept. I can't accept the fact that Sayaka ranked so low and don't make it to the senbatsu. That's why I'm gonna vote for her for this election. hello, i also like and love SAYAKA , but i cant vote because im a fan of her here in the Philippines, but please vote for her on our behalf (her fans in other countries).. please. Thank you so much..